Al-Qaeda’s ideological influence on other jihadist groups is on the rise in South Asia and has continued to extend into countries like Yemen and Somalia; al-Qaeda’s top leaders are still at large, and American overreactions to even unsuccessful terrorist attacks arguably have played, however inadvertently, into the hands of the jihadists. Working against al-Qaeda and allied groups are the ramped-up campaign of drone attacks in Pakistan, increasingly negative Pakistani attitudes and actions against the militants based on their territory, which are mirrored by increasingly hostile attitudes toward al-Qaeda and allied groups in the Muslim world in general, and the fact that erstwhile militant allies have now also turned against al-Qaeda. 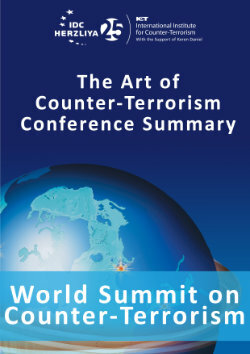 This report is based on interviews with a wide range of senior U.S. counterterrorism officials at both the federal and local levels, and embracing the policy, intelligence, and law enforcement communities, supplemented by the authors’ own research.